The Standing Stone: Castledermot Friary, Co. Kildare. Location - In Castledermot on the N9. 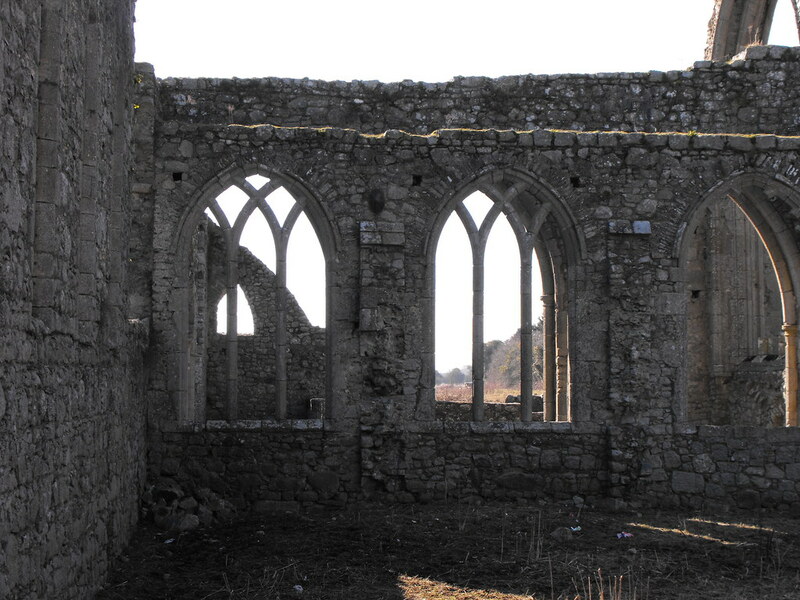 Description and History – This is a beautiful ruin and one that I will definitely be going back to. It was closed when I was there so I assumed it was locked for the winter season but all you have to do it go across the road and get the key from the garage. The sight of the beautifully huge gothic arches is too good not to go back to. Because I couldn’t get into it I was only able to photograph it from one angle and the sun was setting behind it so the pictures below are not the greatest. 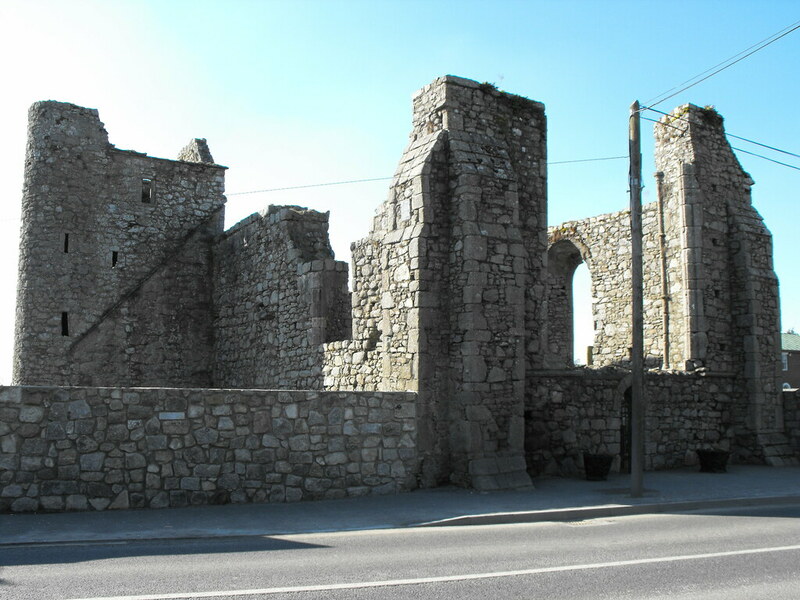 The roots of this Franciscan friary may go back to the 9th century but the first mention of the friary in historical records is in 1247 when money was granted by John Fitz Geoffrey, the Justiciary of Ireland for the building the nave and chancel, the remains of both still stand. The huge Gothic arches and most of the rest of the church date to the early 13th century. 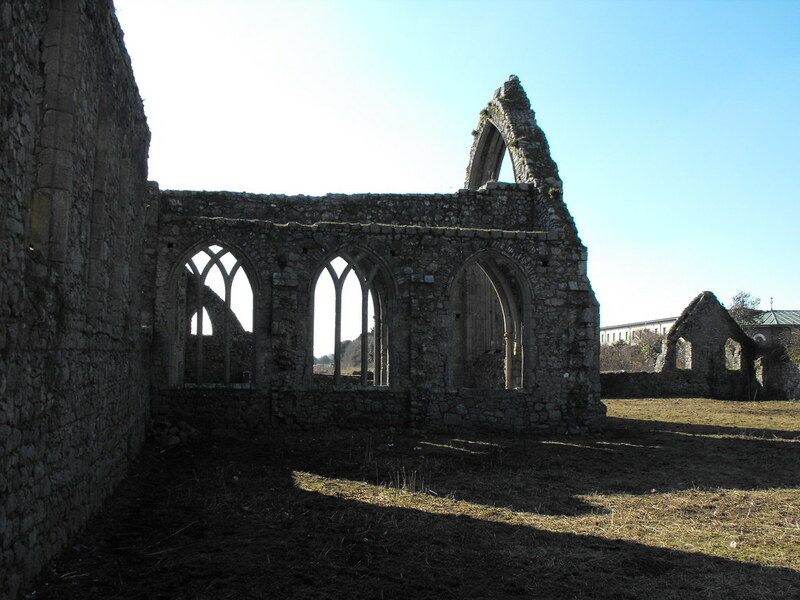 Most of the friary was destroyed in 1317 by a Scottish army led by Edward Bruce which resulted in a period of rebuilding. 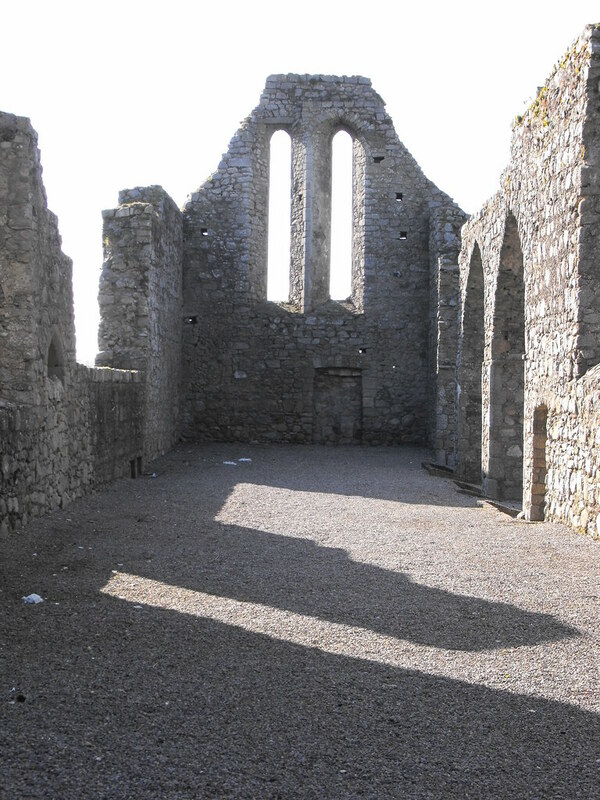 In 1328 a transept was added to the friary by Thomas, the second earl of Kildare. The tower was also added around this time. 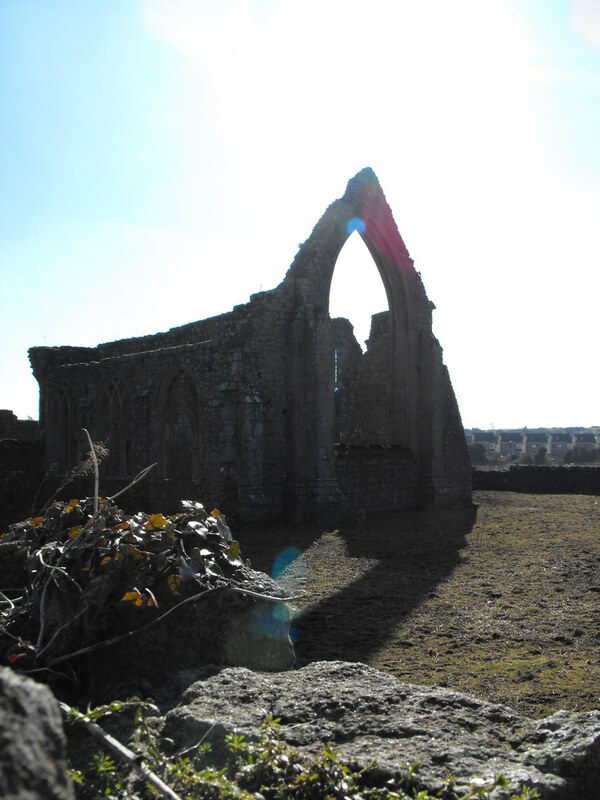 The friary was destroyed by Cromwellian forces and was never rebuilt. Difficulty – It is right on the N9 so you can’t really miss it. There is some parking at the petrol station across the road. It’s near a bend and cars race around this town so keep your wits about you. This is the best shot I could get through the gates.